NuParc Residences is reinventing the modern lifestyle, presenting an innovative way of life in L.A.’s most desirable neighborhoods. With a collection of distinct, residential enclaves located throughout the city, NuParc Residences is ushering in the future of homeownership in Los Angeles, offering a more sustainable, walkable lifestyle under the city’s Small Lot Subdivision Ordinance. 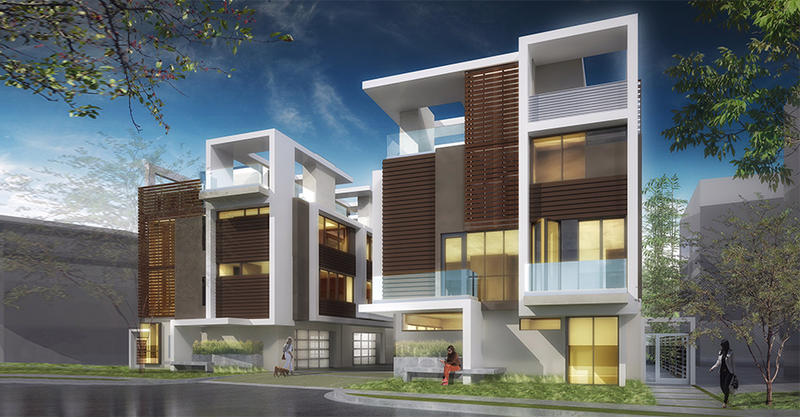 In NuParc’s series of modern residential enclaves, buyers purchase detached, townhome-style residences as well as the land directly beneath it. The footprint is smaller than that of a typical single-family residence which translates to savings in land costs. Also a departure from the condominium model of living, NuParc’s residences are separated by inches with no shared walls. That means no hefty homeowner’s association dues, only minimal fees for common area maintenance. Each NuParc Residences community features a collection of masterfully crafted residences, showcasing the ideal that architecture can be both artful and intelligent. The diagrams and drawings of the proposed project on this site are artist’s renderings and are conceptual only. Maps, floor plans, model and other improvements represented, are not to scale or shown in their final as-built locations and orientations. The developer expressly reserves the right to make such modifications, revisions, and changes in the design of the project and the buildings and condominium units therein, that it deems desirable in its sole and absolute discretion or as may be required by law or governmental bodies. All features, specifications and plans are subject to change without notice. Dimensions and square footages are approximate only, based upon an independent third party appraiser’s calculations, and may vary with actual construction of the project and redesign of the size, orientation and locations of the units and other building elements. This is not an offer to sell or solicitation to buy to residents in jurisdictions in which registration requirements have not been fulfilled, but is intended for information only.